On Thursday, March 30, 2017 at about 8:45 a.m., a 16 year old female was walking through the CVS parking lot located at 43rd Avenue and West Thomas Road in Phoenix. The suspect approached the victim while driving a white pickup truck. He then exposed himself to her and threatened to shoot her with a black handgun if she didn’t walk closer to him. 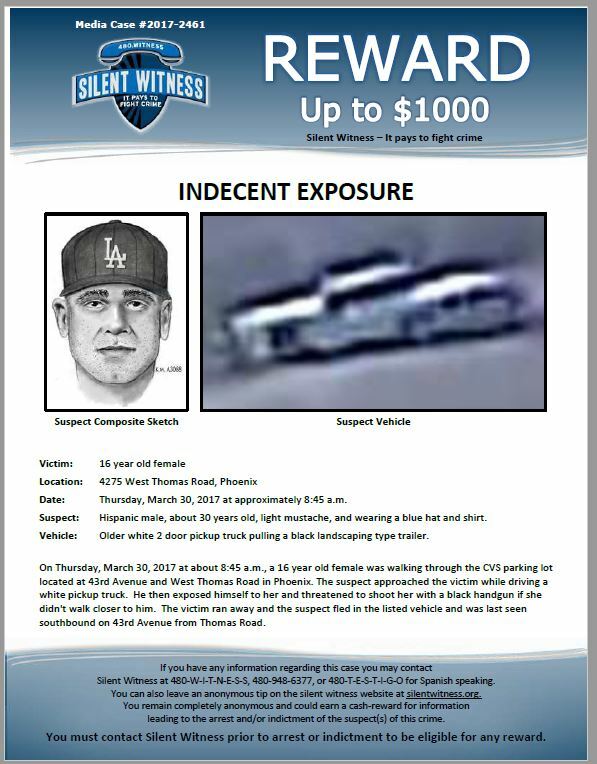 The victim ran away and the suspect fled in the listed vehicle and was last seen southbound on 43rd Avenue from Thomas Road.